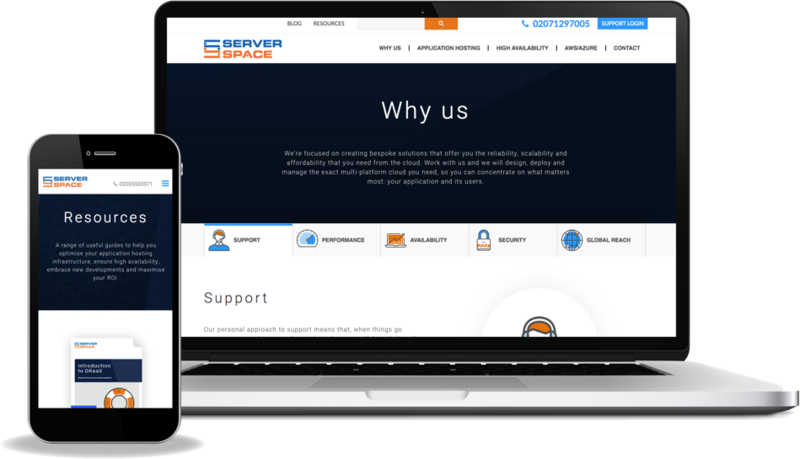 ServerSpace is a successful and growing cloud hosting company. But the cloud hosting market has become crowded, with many competitors, large and small, all shouting the same message and clamouring for the same customers. Inbound marketing was already generating results for ServerSpace, but the generic messaging and design of its website was holding these back and online lead generation was not where is should be. Inbound is a crucial lead gen channel for us, but getting it right in such a competitive market requires real expertise. 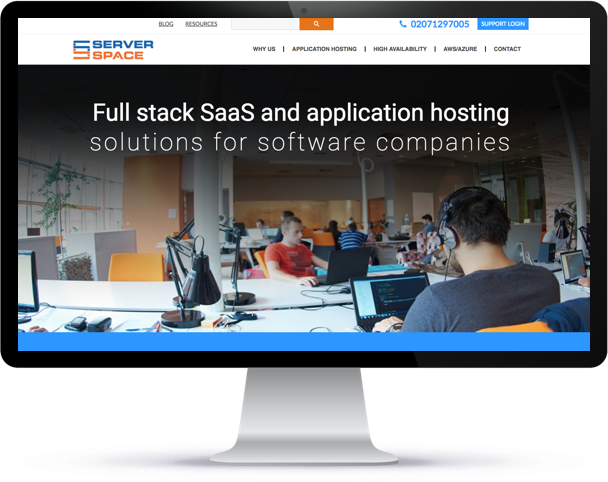 Blend designed and built a new website for ServerSpace, on the HubSpot CMS, that effectively communicates their positioning and differentiation. Every page has been created around the needs of ideal customers - ISV's and SaaS companies - and the customer journey has been simplified. 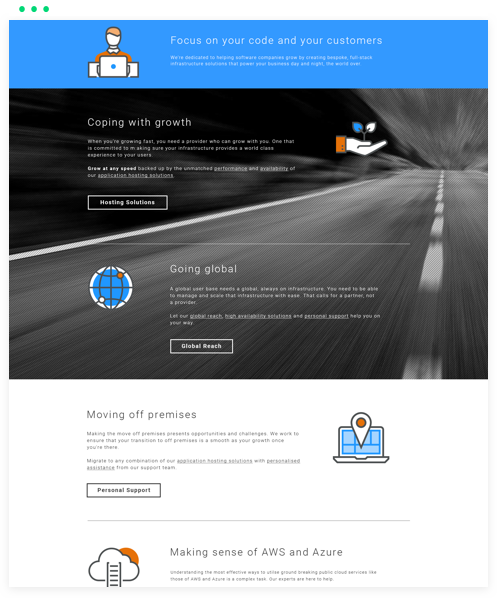 The website is fully integrated with ServerSpace's inbound marketing strategy and optimised for conversions throughout, with clear calls to action and conversion points for buyers at all stages of their decision making process. Ongoing inbound marketing supports the goal of driving more website traffic and leads. 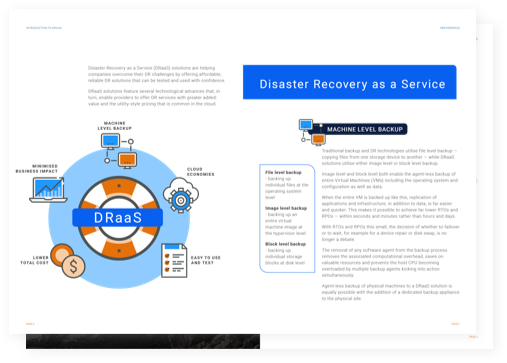 The ServerSpace blog, featuring articles on the highly technical world of cloud computing, helps to attract the right visitors to the site. Rich downloads on topics including cloud hosting costs, containerisation and ISO certification convert visitors into known leads, all of whom are nurtured with email workflows and new content. Integration with sales and the CRM ensures that every lead is managed appropriately. Clear positioning and differentiation have amplified the lead generation performance of both the website and inbound content. Together these are now generating online leads at an unprecedented rate, supplementing other sources of opportunities with high value prospects. Since launching the new website the online conversion rate has increased from 0.55% to 1.40% and this continues to rise. Landing pages hosting the top performing content offers convert at an average of 28% while a bottom of the funnel consultation offer now converts at an impressive 12%.